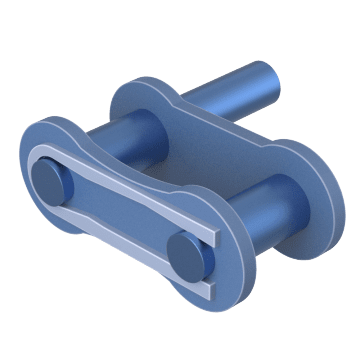 Choose attachment links for connecting the ends of your roller chains. 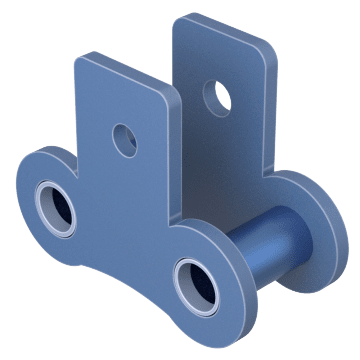 These A-1 style links have a mounting tab with a single hole that sticks out horizontally from one side, allowing you to attach accessories like a bucket or slat to the chain. 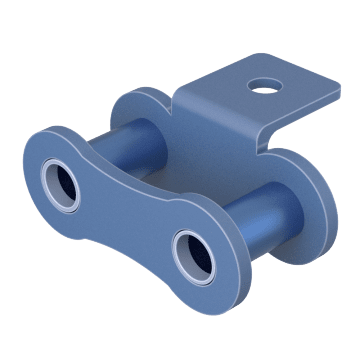 These links are known as connecting links or master links and they come with a retaining clip to connect ends of a chain. 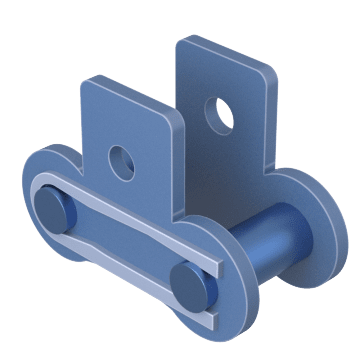 Attach components like a bucket or slat to your roller chain using these A-1 style links, which have a mounting tab with a single hole that sticks out horizontally from one side. These adding links, also known as roller links, fit over a connecting link and attach to the link using a pin, allowing you to extend your chain. K-1 style links have 2 mounting tabs that stick out horizontally from both sides of the link, allowing you to attach accessories like a bucket or slat to both sides of the link. 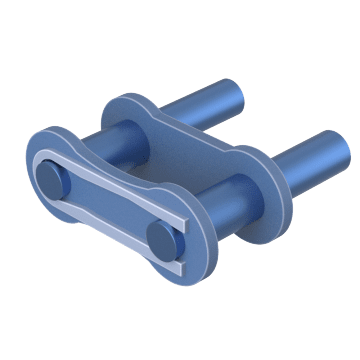 Known as connecting links, or master links, they come with a retaining clip to connect ends of a chain. 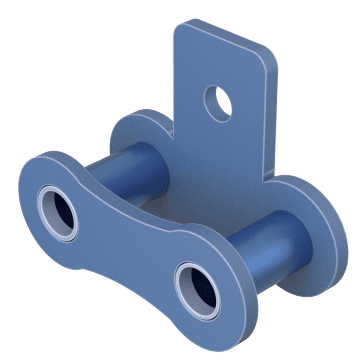 Use these links with 2 mounting tabs that stick out horizontally from both sides of the link to attach components like buckets, slats, or mounting pins to both sides of your roller chain. 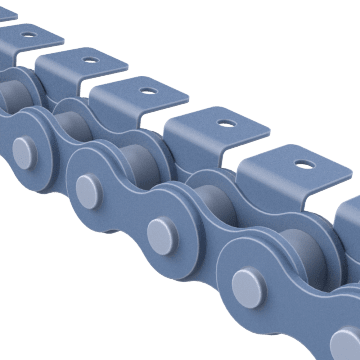 These adding links, also known as roller links, fit over a connecting link and attach to the link using a pin, allowing you to extend your chain. These SA-1 style links have a mounting tab that sticks out vertically from one side of the link, allowing you to attach parts on your chain. They can also balance parts on a chain when used with an additional SA-1 link. 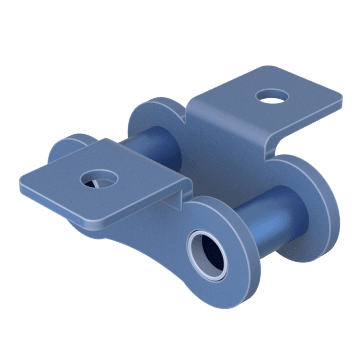 Known as connecting links, or master links, they come with a retaining clip to connect ends of a chain. 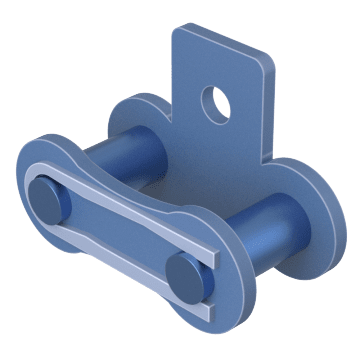 Add parts onto your chain using these SA-1 links, which have a mounting tab with a single hole that sticks out vertically from one side of the link. They can also balance parts on a chain when used with an additional SA-1 link. These adding links, also known as roller links, fit over a connecting link and attach to the link using a pin, allowing you to extend your chain. SK-1 style links have 2 mounting tabs with a single hole in each that stick out vertically from both sides of the link, allowing you to attach parts to your chain. They can also balance parts on a chain when used with an additional SK-1 link. 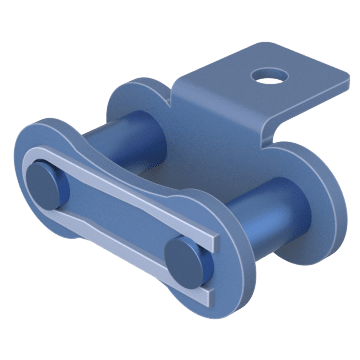 Known as connecting links, or master links, they come with a retaining clip to connect ends of a chain. The SK-1 style link has 2 mounting tabs with a single hole on each that stick out vertically from both sides of the link, which allows you to attach parts to the chain. They can also balance parts on a chain when used with an additional SK-1 link. These adding links, also known as roller links, fit over a connecting link and attach to the link using a pin, allowing you to extend your chain. Install parts or accessories on your chain using these D-1 style links, which have a single attachment pin that extends horizontally from the side of the link. Known as connecting links, or master links, they come with a retaining clip to connect ends of a chain. These D-3 style links have 2 pins that extend horizontally from the side of the link to allow for the installation of parts or accessories. 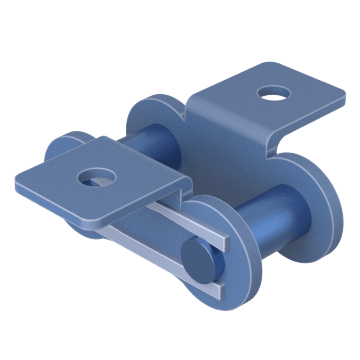 Known as connecting links, or master links, they come with a retaining clip to connect ends of a chain.